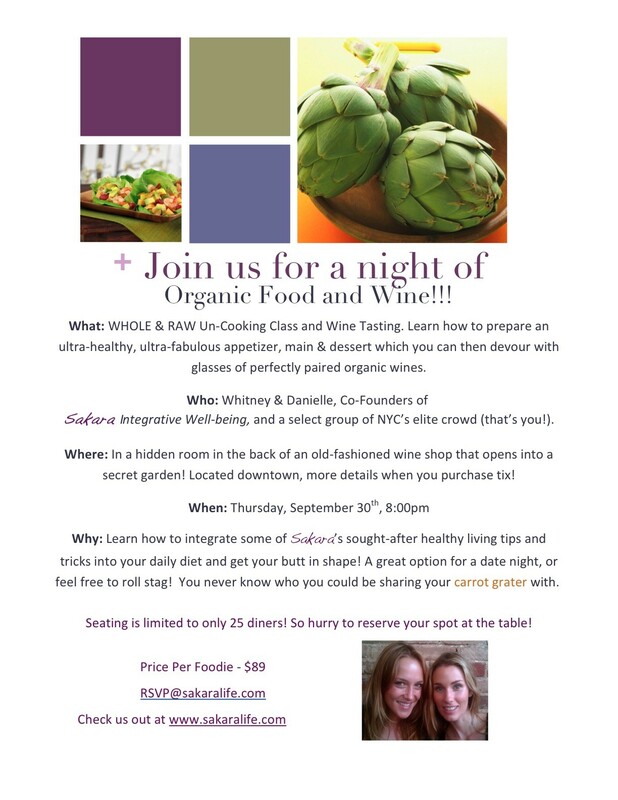 Join us Whitney and Danielle for an evening of wining, dining & veggie-crunching! Learn how to prepare a nutritious and oh, so delicious raw meal as you sip on some of our favorite ORGANIC wines… tempting, eh? Sign up and purchase tickets asap here.